Hall-of-Fame Martial Arts Instructor and Hall-of-Fame Geologist from Gilbert, Arizona, Soke Hausel, was inducted into the 2017 Who's Who in Martial Arts and Who's Who in Martial Arts Hall of Fame on August 4th. Grandmaster Hausel is also a member of other martial arts Halls-of-Fame including the North American Black Belt Hall of Fame, the World Martial Arts Black Belt Hall of Fame, and others, and is also a member of some Halls-of-Fame for geological discoveries and education including the Lapidary and Rock Hound Hall of Fame, the Millenum Hall of Fame, and he is also a member of several other Who's Who including Who's Who in the World, Who's Who in America and Who's Who in Science. So far, 2017 has been an amazing year for one valley martial arts instructor and geologist (https://www.everipedia.com/Dan_Hausel/). Grandmaster W.D. Hausel of Gilbert has been selected for awards that acknowledge his lifelong dedication to martial arts, geology and writing. Along with General Colin Powell, Hausel has been selected for the Albert Nelson Marquis Who’s Who Lifetime Achievement Award. Along with Grandmaster Jhoon Goo Rhee, Grandmaster Hausel was selected for induction in Who’s Who in Martial Arts. Earlier, Hausel was notified of selection to Great Men & Women of Science and for the Cambridge Certificate for Outstanding Scientific Achievement. In the past week, he was notified of his selection for Best Martial Arts Teachers in Phoenix award for expertise. Grandmaster Hausel has been training in martial arts for more than 50 years and taught martial arts for more than 3 decades at the University of Wyoming prior to moving to the valley and first teaching at ASU before opening the Arizona Hombu dojo in Mesa. He has also been a geologist for 45 years and made many significant gemstone, gold and diamond discoveries as well as publishing hundreds of books, papers and abstracts mostly on the geological sciences. Arizona Karate Instructor - Dan Hausel, Soke - has been selected for the 'Albert Nelson Marquis Lifetime Achievement Award' and the 'Cambridge Certificate for Outstanding Scientific Achievement' by Marquis Who's Who, Princeton, N.J., and the International Biographical Institute, Cambridge, England. These are considered very unusual awards for any karate instructor. But, Grandmaster (Soke) Dan Hausel, who operates a martial arts school for adults in Mesa Arizona is a polymath - a person who reached the highest level of achievement in more than one discipline. While at the University of Wyoming and working for the Wyoming Geological Survey, he was twice inducted in Halls-of-Fame for contributions to martial arts and geological sciences in the same year. He is now a member of more than a dozen Halls of Fame for both martial arts and geology. As a martial artist, he reached the highest level in traditional karate when in 1999, he was certified as grandmaster of Seiyo no Shorin-Ryu Karate Kobudo Kai (TM) while at the University of Wyoming. Soke Hausel has been a martial artist for more than 5 decades and continues to teach in Mesa, Arizona. In recent years, he was awarded 'Martial Arts Genius' by Juko Kai International which recognized his vast array of martial arts achievements over the past 50 years. As a geologist, he authored hundreds of papers and books on geology and mineral deposits, identified hundreds of gold, diamond and gemstone deposits and anomalies. In 2009, he and six of his colleagues were recognized for discovery of one of the largest gold deposits on earth at Donlin Creek, Alaska in 1988 and presented the highest award for an economic geologist - the Thayer Lindsey Award. His contributions are summarized at a number of wiki sites including everipedia. Along with geology and martial arts, Hausel is also an artist, writer, public speaker, and worked in the past as a professional musician and professional astronomer. He has been awarded black belt ranks in several martial arts and more than a decade ago, was awarded Kyoju no Budo (professor of martial arts) after achieving high-level black belt ranks in a half-dozen martial arts and teaching karate, kobudo, jujutsu, samurai arts and self-defense at the University of Wyoming. Previously, he had taught karate at the University of New Mexico and University of Utah. Soke Hausel indicates he could not have accomplished anything without the blessings of God, and owes everything to the Creator. Few in history have been selected as a PROFESSOR OF MARTIAL ARTS and also a PROFESSOR OF SCIENCE. 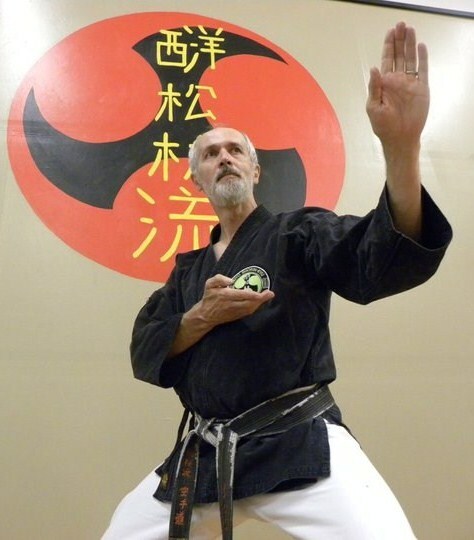 But over-achiever and polymath https://en.wikipedia.org/wiki/Dan_Hausel" target="_blank" rel="nofollow">Dan Hausel of Gilbert and Mesa, Arizona has been selected for both honors due to his numerous contributions and expertise in both Shorin-Ryu Karate and Kobudo and also in the Geological Sciences. Grandmaster Hausel of traditional Shorin-Ryu Karate and Kobudo has been teaching martial arts for more than 4 decades and training in the martial arts for more than decades. As a geoscientist, Professor Hausel has explored and found many diamond, gemstone and gold deposits over the past four decades including some world-class deposits. Grandmaster Hausel received legitimate certifications and papers as the grandmaster of Shorin-Ryu Karate (Seiyo-Kai) in 1999 at the Juko Kai International Hombu dojo. His certification as Grandmaster was presented from Zen Kokusai Soke Budo Bugei Renmei by Dai-Soke Sacharnoski, 12th dan and yudansha certification was authorized by Dai-Soke Sacharnoski of the US and by Soke Shian Toma (10th dan) of Okinawa. Additional certifications were presented by other martial arts organizations and Soke Hausel was later selected as a member of the US Soke Council. He also graduated in geology from the University of Utah in 1972 and in 1974 and since worked for the US Geological Survey, the Wyoming Geological Survey, University of Wyoming and as a consulting for many diamond and gold companies. For many years, Soke Hausel has been recognized as a polymath of martial arts, geological sciences and education. 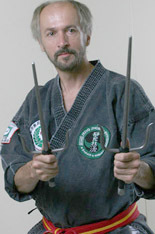 He continues educating the public on karate and geological sciences through teaching classes, clinics, public lectures, websites and books. Recently, he was selected for the 'Leonardo Da Vinci Award' (a polymath) in 2015 and now has been selected for HONORARY PROFESSOR OF SCIENCE for 2016. In 1997, Grandmaster Hausel was awarded 'Kyoju no Budo' by Juko Kai International which translates as Professor of Martial Arts while he was teaching martial arts and self-defense classes and clinics at the University of Wyoming. Hausel received notification of the selection from Nicholas Law, Director General, Cambridge England on Dec. 18th, 2015 - "... Only a very select few are to be honoured in this way and each recepient has been handpicked by the Appointments Board of which I have the pleasure to be Chairman. The selection processs in clear: a receipient must show the very highest level of achievement within the field of science and must be seen as an authority within his field of expertise. ...".